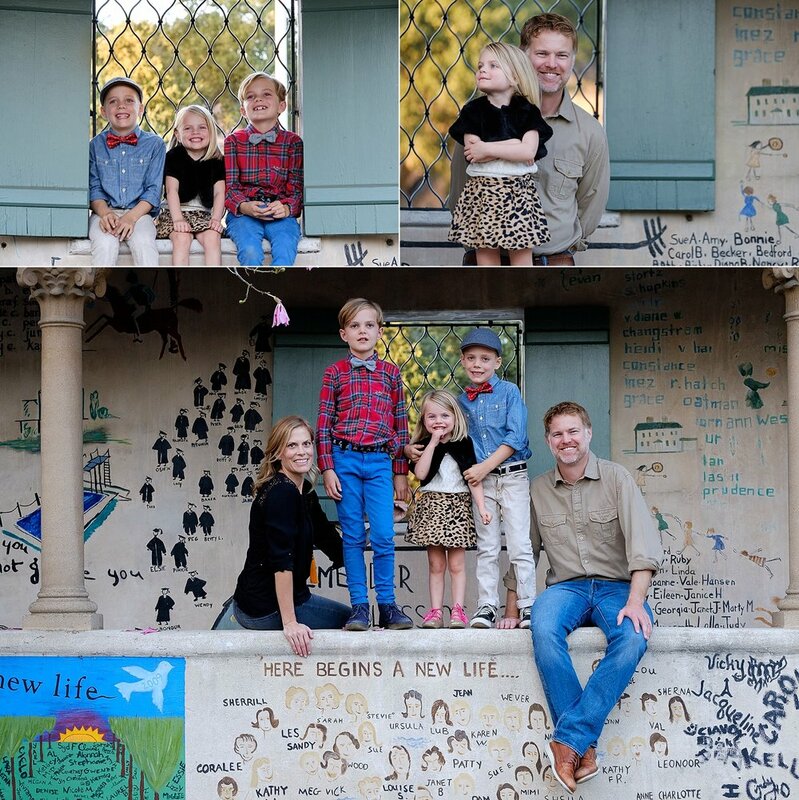 Ready for some family photo ideas? Back in October, my dear friend and I were brainstorming some family photo ideas for her Christmas cards. Though we have many beautiful nature areas near our homes, she was hoping for a more urban feel. Luckily, we live near The Claremont Colleges which are filled with amazing architectural details. I've wandered all throughout the colleges before with my own family and there are just so many picturesque corners everywhere you turn. So, after she picked out an awesome wardrobe for her entire family, we picked a day and decided to wander around Scripps College in Claremont. 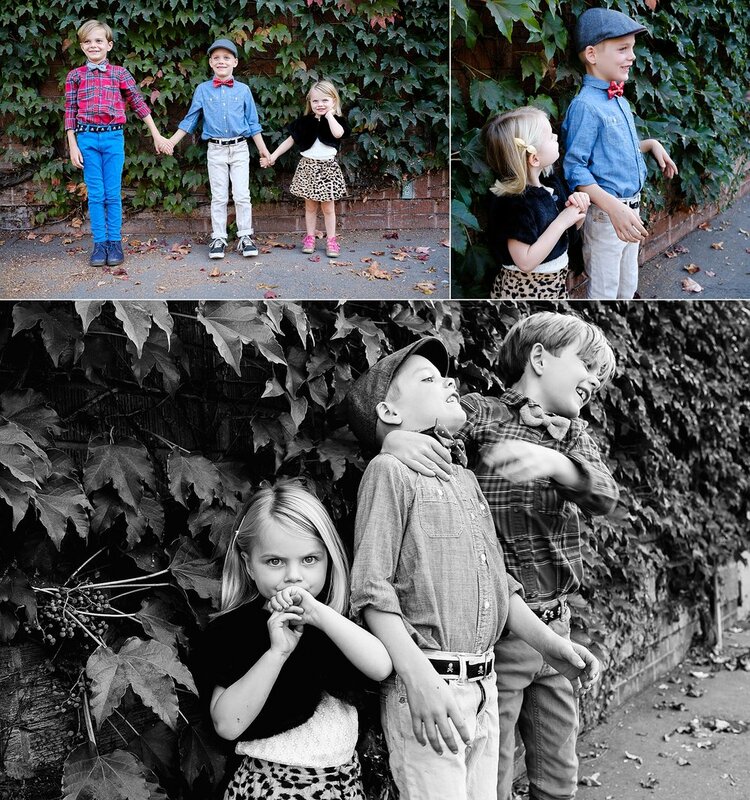 Tips for Getting Successful Family Photos. 1) Look for the light. This can be backlit sun or reflected light off buildings or a myriad other other light sources. The goal is to follow the pretty light. 2) When in urban areas, find interesting architectural details. Stained glass windows in libraries. Gorgeous tile stairs in hidden corners. Or, in our case, Scripps College has the most interesting walled garden with "graffiti" from each graduating class. Extra points for cool light through windows! 3) You can often still find nature in the midst of buildings. Ivy walls are great (just watch for icky spiders). Rose gardens are always gorgeous. And fountains can be a nice place to recharge and capture some candid photos. 4) Now, change your plans when the kids could care less about "looking at the camera and smiling." Decide to make them laugh instead. Maybe have them throw leaves at you. Or have have the kids try to pull their parents' arms off. We gotta make these photography experiences fun after all. By the way, do you recognize their daughter? She had her premier on my blog about x years ago! Check out that session here! Ahh, now she's all grown up and wrestling with her brothers (and sometimes ignoring them). Are you interested in brainstorming some photo ideas for your own family? Let's chat! I'll buy you a cup of coffee (or tea) and we can create a custom photography experience to capture your own family's stories.